Thought South Africa was just table-shaped mountains and wildlife watching? Think again. South Africa has plenty in the way of quirky/thrilling/fun activities to be had. And best of all, we can add the ones you want to try out to your tailor-made South Africa holiday. Why gawp at a world icon when you can abseil down it? 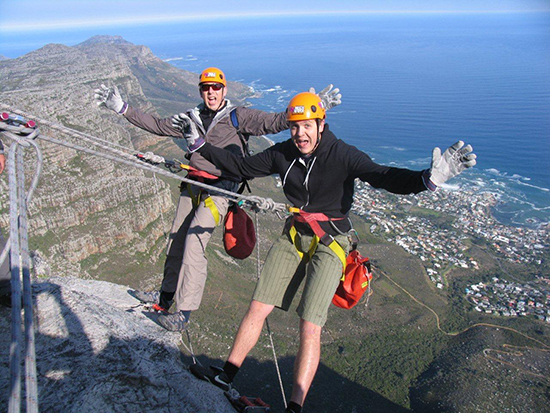 That’s the thinking behind Abseil Africa’s Table Mountain challenge. Take a cable car or hike to the top, then leave your sanity at the summit and abseil all the way down. That’s a 112-metre sheer drop – with just you, a harness, and one incredible view. Up here you can spy Camps Bay, the Twelve Apostles, and the ocean as far as the eye can see. If you only have the time (or nerve) to do one crazy activity in South Africa, make it this one. You’ll squeeze most of Cape Town’s iconic views into an hour of squeals and sweaty palms. It’s one hell of an adrenaline rush. 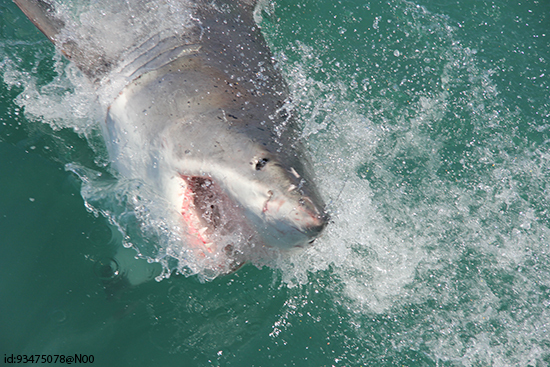 Nothing prepares you for the moment when a great white shark comes barrelling towards you, teeth bared and beady eyes unblinking – and the only thing separating it from dinner (you) is a flimsy-looking wire mesh. Try shark cage diving for this nightmarish experience, which is quite possibly the most terrifying day out in South Africa. Kogel Bay is a hotspot for surfers and sunbathers who like a good-looking beach. It’s a beauty, with almost 1.2 miles of powdery sand and uninterrupted views of the mountains. But on some nights, it gets even more spectacular: the water lights up with the glow of phosphorescence. The dark ocean is illuminated with clouds of sparkling blue light – an ethereal sight that’s utterly hypnotic. It’s a rare occurrence (disappointingly, I didn’t spot it), but this is still a cool spot for a sandy sundowner. There’s a campsite nearby, but you’ll probably have the beach to yourself at night. I get rather territorial when I’m sunbathing, but I don’t mind sharing my patch of sand with a penguin – not that you have much choice in the matter at Boulders Beach. 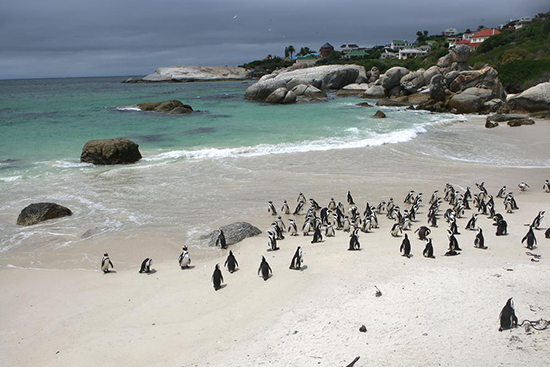 Hundreds of penguins flock to this bay near Cape Town, and although you’re not allowed to approach or touch them, that doesn’t stop them from waddling all over your towel and trying to steal your snacks. It’s a public beach with great amenities, and the penguins are well protected by park wardens. And, as it’s a conservation site, the sand and water really are pristine. What is Scad diving, you ask? Why, it’s a free-fall from a very high spot, of course. The massive disused cooling towers in downtown Soweto aren’t exactly the most obvious location for this new adrenaline craze, but that’s all part of the fun. 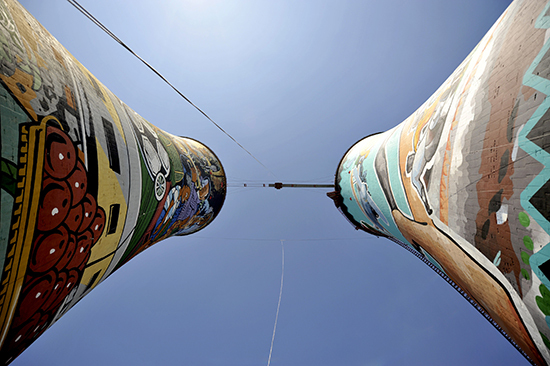 At Orlando Towers you can free-fall (in a harness) down into one of the towers, a hair-raising 50-metre drop. Believe me, when you’re teetering on the edge of that tower you’ll wonder what the hell you were thinking. But hey, the views are nice up there: you can see all over the township, which is home to many of the key freedom struggle sites. Everyone knows that Australia loves big things – oversized sculptures of everyday objects, erected outside for all to see – but did you know that South Africa does too? In Calvinia (Northern Cape) an old water tank has been converted into a giant red post box – and yes, you can send your postcards from it. 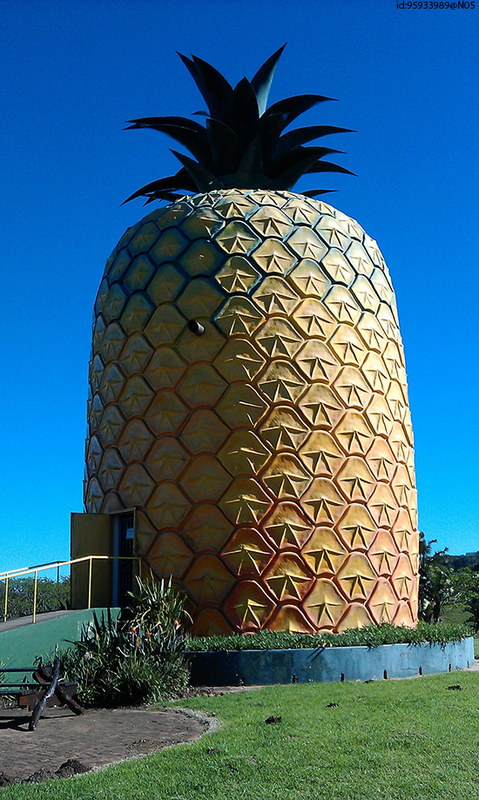 Bathurst’s big pineapple is almost 17 metres high, and Rooiberg winery in Breede River Valley is home to Africa’s biggest chair. It’s nine metres high and is painted bright red. No, I don’t understand it either – but the locals are very passionate about it. Splashing through rivers, abseiling down waterfalls, zip lining across gorges… is there a better way to get around South Africa? Exhausting, exhilarating and utterly hilarious, kloofing is the ultimate high-energy introduction to the country’s dramatic river canyons – and it’s seriously addictive. 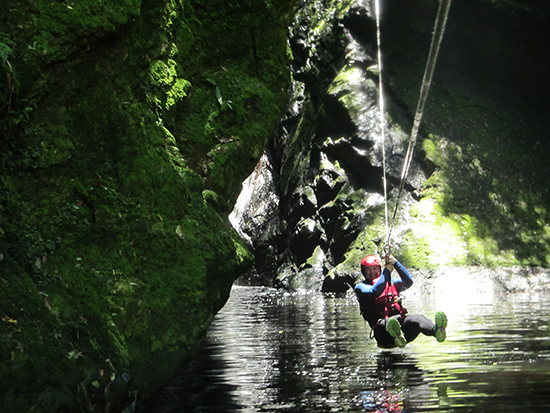 Head to Africanyon in Plettenberg Bay for the most thrilling four hours you’ll ever have in (and over and under) a river. And when you’re not swimming, sliding or squealing, take a look around: the gorge really is gorgeous. Experience the best of South Africa and incorporate these thrilling activities into your itinerary with our tailor-made holidays to South Africa.